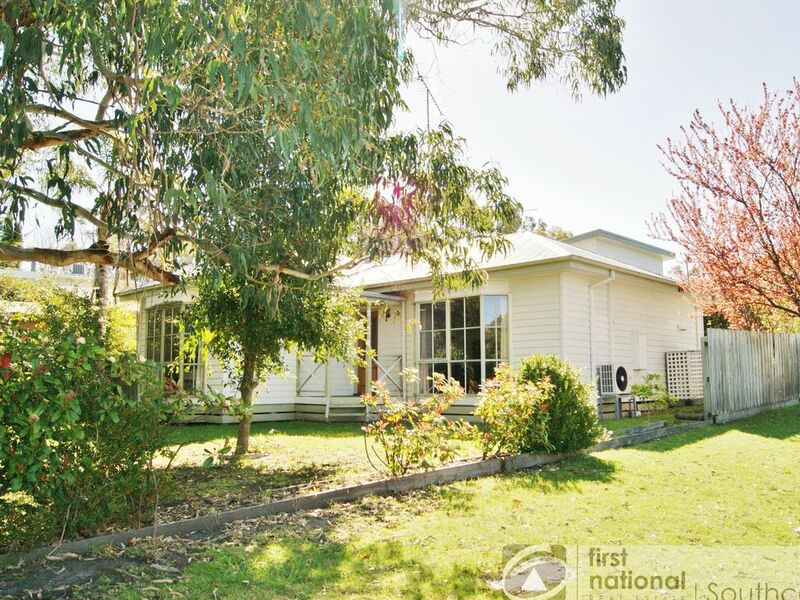 This very comfortable and affordable holiday home has the added bonus of being pet-friendly and easily accessible to Andersons Inlet, you can see the glistening water from this properties driveway! The main house features bay windows, spacious lounge comfortable furnishings and air conditioning, two bedrooms, central bathroom and separate kitchen and dining areas. The kitchen includes dishwasher and electric cooking and looks out onto the fully fenced back yard and covered verandah with outdoor setting and Gas BBQ. The laundry is accessible from outside and includes both second shower- perfect to rinse off after a swim before entering the home- and toilet. The bungalow is unique and is positioned at the rear of the property towering high above the house on stilts and features its own ensuite and private balcony, an ideal teenagers retreat. Enjoy privacy while being so central, located only a very short stroll to the main street and to the inlet beach you can throw away your car keys! Make a booking today for an unforgettable summer! Very disappointing in terms of cleanliness and maintenance. Kitchen wasn't properly cleaned - benches dirty, stove and oven very greasy and food remnants on oven tray and dishes required a wash before use. No sponges or rubbish bin bags. Outside of the Kitchen cupboards required cleaning. Carpets badly stained. Third bedroom (Upstairs bedroom) very dusty and carpet horrible. Vacuum cleaner didn't work, some curtains and blinds falling down. Sink leaked into cupboard, back door handle missing. Light globes missing, batteries for remotes missing. Stairs to third bedroom (outside) very narrow and slippery. Garden (backyard) very overgrown and weedy - aspect from porch not very pleasant. We are so disappointed to read your comments. We have a cleaner/care taker employed to look after this property and they were engaged to do a pre-arrival clean prior to your booking. It seems they have really dropped the ball and left us all in a difficult position. We have since engaged a new cleaner/care taker who has given the property a thorough spring clean. We have also checked the vacuum cleaner and found it to be working. We thank you for your feedback and wish it had of been brought to our attention during your stay for us to rectify and to make your stay more enjoyable. Whilst this property is a budget, pet friendly home we do expect it to be clean and comfortable.